A few weeks ago I posted a review for Zebra Z-Grip Ballpoint Pens in preparation for National Stationery Week. Well, the week full of stationery goodness has now started, and I have a set of eight of these pens to give away to one of my readers! There will be one winner of this giveaway, and they will receive 3 funky Z-Grip pens, and 5 smooth Z-Grip pens. This giveaway will close at midnight on Sunday 3rd May, at the end of National Stationery Week. I will choose one winner via Rafflecopter and be in touch via email to arrange delivery shortly afterwards. 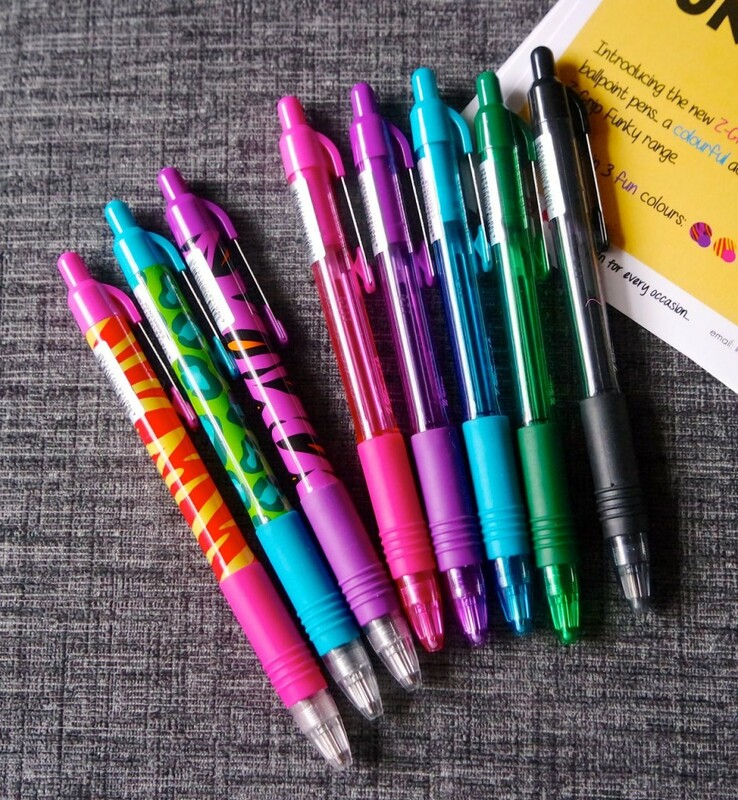 To enter this giveaway, comment telling me what is your favourite colour pen for writing notes, and record your entry on the Rafflecopter widget below. Getting organised – It’s World Stationery Day! Black. Coloured pens are only for underlining and doodles. Black, very boring but very easy to read.